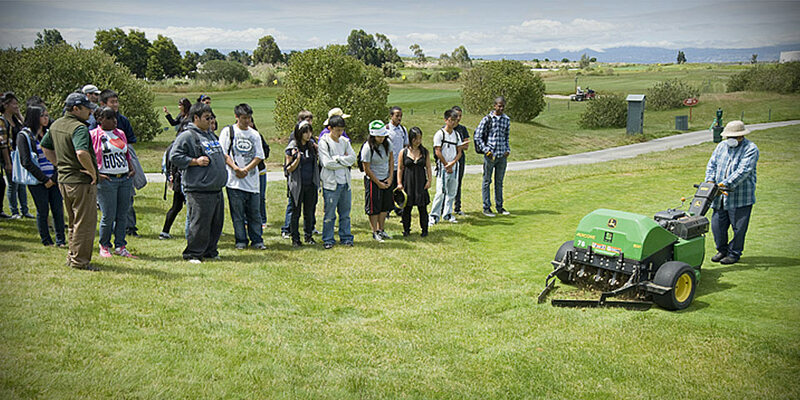 The OTEI program introduces inner-city youth to potential career paths in sports turf & golf course management, environmental sciences, and the green industry. OTEI board members and volunteers engage students through on-course Study Tours, remote site Field Trips, Career-to-School fairs, an After School program, Guest Speaking engagements, an Internship Program, and other activities. At OTEI functions, students not only learn about the core values that will lead them to success, but they have fun too!